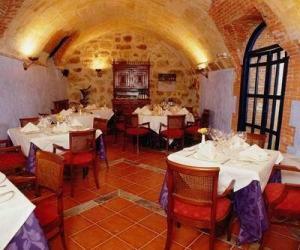 Food & Beverages : "La Bóveda" a la carte restaurant. Bar. Lounge. 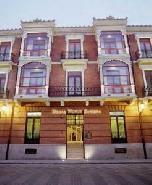 Hotel Information : In the city center, closed to the monumental and historic places. 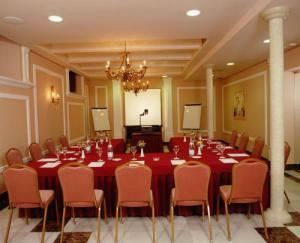 The Melia Horus Zamora complements its facilities with a social hall, 3 meeting rooms and a garage. 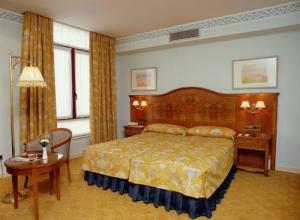 Room Information : The hotel offers 45 rooms including 7 junior suites. In addition to the listed amenities all rooms have a full bathroom and an ISDN line. Room service is available as well. Region Information : In the area we can find: the Historical and Monumental center of the city; the city of Salamanca; Lago de Sanabria; the city of Leon; Lagunas de Villafafila; and Arribes del Duero. Cancelation Policy : Cancellation Policy: If cancelled up to 1 day before the date of arrival, no fee will be charged. If cancelled later or in case of no-show, the first night will be charged. Children and Extra Bed Policy: All children are welcome. All children under 2 years stay free of charge when using existing bedding. All children under 2 years stay free of charge for cots. 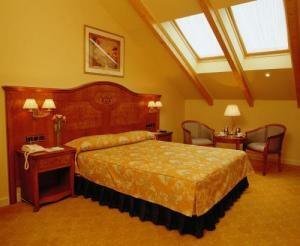 All older children or adults are charged EUR 34.24 per night and person for extra beds. Maximum capacity of extra beds/babycots in a room is 1. Deposit Policy: No deposit will be charged. VAT and city/tourist taxes: VAT is included. Service charge is included. City/tourist tax is not applicable. Internet: Wireless internet is available in the hotel rooms only and is free of charge. 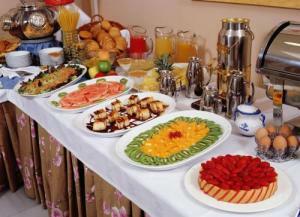 Meal Plan: Buffet breakfast is not included and costs EUR 10.20 per person. Parking: Public parking is possible on site and costs EUR 10.70 per day. Pets: Pets are not allowed. 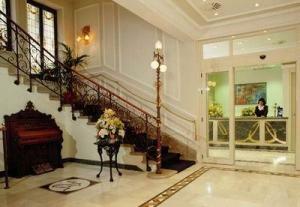 Short description : Melia Horus Zamora Boutique Hotel, a former mansion transformed into a Grand Little Hotel. The intimacy, impeccability and individual personality of its rooms and facilities will make your stay in our city a unique experience. 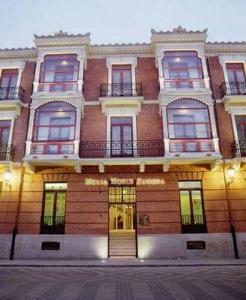 Set in the historical an commercial centre of Zamora, the Meliá Horus Zamora BH welcomes you to a charming, friendly city on the banks of the Duero River. 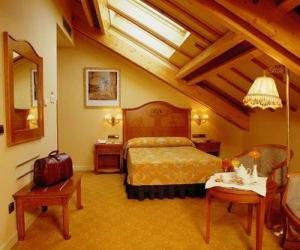 Important Information : Le Petit Spa with Jacuzzi&Sauna for all Booking guest with 20% off the published price. Maximum 2 people per session EUR 32.10 (VAT included the 2 persons). Reservations must be made at least 2 hours in advance. 45-minute service. Opening hours: 10.00 am to 21.00 pm.